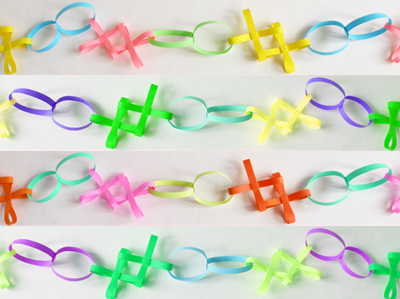 Leyla Torres demonstrates how to fold a paper chain of hugs and kisses, fun party decorations. 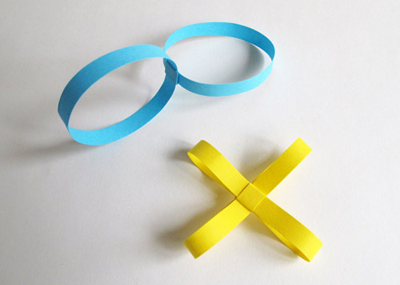 Watch the video to learn how to make the garland from strips of colored paper. Aww... how sweet... and PRETTY!! this is so adorable. i'm keeping this craft in my back pocket for my next party. Love these...simple and colorful. Thanks! This is great for a party. My anniversary is coming up - perfect! Thanks! I'm very proud to be featured on How About Orange among all these many nice things you share. You rock!